Tena Speicher has come to live in Bird-in-Hand after her fiancé left her for an English woman. When a homeless veteran comes to the fruit stand one day and asks for food, Tena is not sure how to respond-but Wayne intervenes and offers to let him stay in the barn. Afraid to trust Englishers, Tena must learn, with Wayne's help, that everyone is a child of God and deserving of kindness. 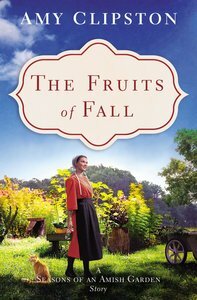 About "The Fruits of Fall (Season Of An Amish Garden Series)"